The 12th anniversary of the death of Johnny Cash is coming up this month, and to mark the occasion CMT will temporarily rebrand itself as “Cash Music Television” as part of a weeklong tribute to the iconic singer. Also, Kid Rock will be there to host the whole thing, which is appropriate since Johnny Cash was one of the greatest artists in country music history and Kid Rock is…a big fan of Johnny Cash. The weeklong salute will begin on September 8 with a showing of Walk The Line that will probably be intercut with clips of Kid Rock saying “Yo, I’m Kid Rock and this is Cash Music Television,” which will make the movie better. On September 10, CMT will air a “Throwback Thursday” block of old Johnny Cash videos, and on September 11 there will be a special edition of CMT All-Time Top 40: Artist’s Choice, which will (hopefully) feature a bunch of a modern country stars ranking Johnny Cash somewhere in that top 40. On September 12—the actual anniversary of Cash’s death—there will be a Kid Rock-hosted all-Johnny Cash edition of CMT Hot 20 Countdown, followed that night by Johnny Cash: American Rebel, a new documentary featuring a bunch of interviews with people who knew Cash, including his children. 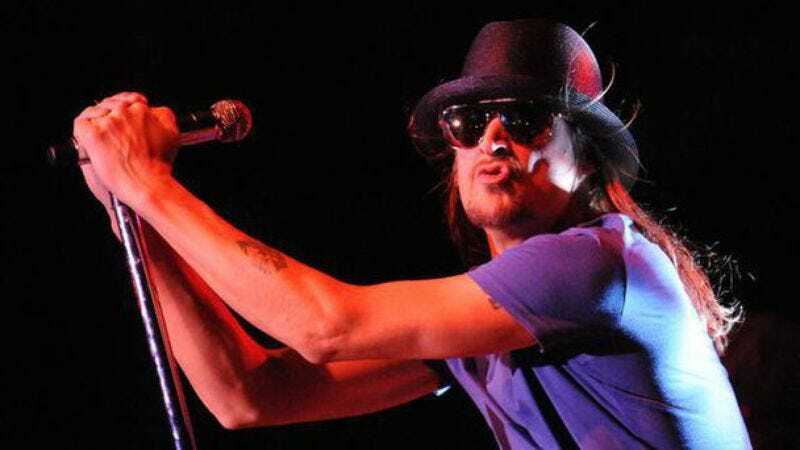 Kid Rock will also be there, hopefully, to remind us that he’s Kid Rock and that we’re watching Cash Music Television.